Our Clear Stackable Sweater Drawer provides visible accessibility for closet organization. Sized for sweaters, the drawers can accommodate other items as well - scarves, socks, lingerie and accessories. Specially designed to stack securely (we show two here), it's also great for crafts and office supplies, toys and toiletries. Clear Dividers (sold separately) are available to help keep the drawers organized. When stacking the drawers side-by-side, 4 Shoe Drawers = 3 Large Shoe Drawers = 3 Shirt & Accessory Drawers = 2 Sweaters Drawers. With handle, drawer measures 14-3/4"
This is the jewelry or makeup storage you've been dreaming about. You'll love the way the crystal-clear acrylic drawers keep contents visible and organized while adding the perfect sparkle to your room. To clean, use soapy water or Novus Plastic Polish. (sold separately). Create a customized solution for storing shoes with our 2-Tier Mesh Shoe Shelf. Oversized mesh shelves accommodate larger size shoes and high heels. Increase your shoe storage space by stacking two or more racks. Clear Stackable Sweater Drawer is rated 4.7 out of 5 by 46. Rated 5 out of 5 by Sulkelly from Well made and clean looking drawer! Using these in the fridge to better organize fresh produce and loving it. Rated 5 out of 5 by angel4321 from Great for all my make up Purchased this for my makeup so I could declutter. Looks great . Rated 5 out of 5 by ohkaylno from Perfect for makeup organization! Love these! Been using 9 of them for awhile for my makeup/hair/body products storage and I’m ordering 6 more now! Very sturdy and the clear plastic makes them a breeze to see what’s inside. I even added labels to mine. Rated 4 out of 5 by ClosetOrganizer1 from Looks Great/Works Great These are great, only 4 stars because the drawers tend to slide open but I put a little wedge to prevent that. Rated 4 out of 5 by Amberita from Since I live in the South and winters are short, I found myself simply forgetting my options when I really wanted an item. I may have stacked each inch with my winter clothing, but at least I know what I have when I need it. Rated 5 out of 5 by GirlDoingWork from Great for tall shoes/boots I bought 2 of these to start the foundation of a set of drawers to organize shoes and camping gear in my closet. They're perfect for some larger wedge heels and ankle boots I own (2 pairs of boots in one and 4 pairs of wedges in the other. I love that you can stack these with the shirt and show drawers too! Overall I'm really happy with this purchase. Rated 3 out of 5 by ChristinaDowntownNYC from Great for organization but greasy I just spent a week organizing my apartment and I’m super pleased with these clear bins. They stack well and let you see everything in a neat way. The drawers glide easily and fit a lot. They have changed the usability of my New York City closets! So we’ll worth it. Sadly all of them came dirty. They had a kind of greasy residue on them. So be prepared that you need to clean each one before you use them. Considering that I bought 25 of these it was no small effort. For the price you’d expect them to be ready to just use. But if you take the time to clean them they do work great. Rated 5 out of 5 by MVChick from Efficient Storage I have been collecting these storage boxes for use in my closets and garage for years. Since they are clear and stackable, it is easy to find your items plus the drawer can be removed easily for access. Examples for my use are plastic utensils, small boxes, groceries, hats, and of course, sweaters. Rated 5 out of 5 by Pologrl from Best item for every room in your house!! This is the best item, I have used it throughout my entire house. Bathroom, office, homework area, closets, you name it. Like that's it's clear so you can see what's inside, and the drawer is the best, easy to pull and access. Rated 5 out of 5 by Pinki from Clear stackable sweater drawer I actually saw these when visiting a friend's home & ran right over to the container store to purchase these & the men's shoe box. I am doing my entire closet over time..the fact that they are clear helps out so much when getting ready in the morning..no more shuffling thru shoe boxes. I wear a size 11 so the men's box fit better. Rated 4 out of 5 by Meyers from Not quite as pictured Based off the pictures for these containers I thought that the dividers came with the order (the dividers also didn't show up underneath as something else I might want to buy). That being said, once I got the dividers and have used the containers, I absolutely love them and want more. They are modern and sleek but sturdy! Rated 5 out of 5 by Bill954 from Clear Sweater Drawers I used these for large spaces in a bureau, which did not allow me to see what was there without pulling out all the contents. The clear sweater drawers fit the space, I can see what is in the drawers and can pull the drawers out, if necessary. They are wonderful. Rated 5 out of 5 by pixiesmile from not just for sweaters I use these in my kitchen, on my bakers rack. One holds my cloth napkins and the other has a divider and holds plastic cups , extra salt and pepper shakers and other items. You can see what's there in a glance. Now where else can I use them?? I want more of them! I also have the men's shoe drawers in my closet because they are roomier than the woman's drawers. Rated 5 out of 5 by Glorific from LOVE IT!! Used to organize toys in kids room. I searched everywhere for drawers that would fit underneath my kids' desk but I had exactly 28.5 inches (width) to work with. These drawers were PERFECT!! I made two stacks of three and now the toys are organized and even labeled. Kids can see the toys they have, take them out, and put them back easily. The different options for dividers worked well for leggos and for the tea sets. Unfortunately, there is no stop for the drawers so they could easily be pulled out completely so I had to tell my kids to never pull it out completely or use two hands. My kids are 4 and 8 so they can handle the instructions... There might be accidents for younger kids who might pull out the drawer too far out. Overall, these drawers are a great price and quality, and very useful! Rated 5 out of 5 by Yarrowtalks from Great organizer Protects sweaters; clear plastic makes it easy to see inside; makes shelves much neater. Rated 5 out of 5 by jeweldog from Love these see-thru drawers These drawers are great for storing our out of season items since we purchased our ELFA walk-in closet! Clothing items are easy to see and retrieve. Love 'em!!! Rated 5 out of 5 by rosiey from Nice drawer The drawer was really steady and easy to open with the sliding drawer. I brought it as a snack container. I like to be able to see what snacks I have. So I don't forget and buy extra. Rated 3 out of 5 by backroll from Nice but break easily Nice clear and love the sliding feature. But if the box falls or the slider falls, they break easily. Sliders should only be pulled out about 2/3 of the way to prevent them from "falling" out easily. Rated 3 out of 5 by Karelex from Not my favorite... Hard clear plastic is kind of clunky and doesn't feel like it will last long if using daily. Seems easily breakable. Drawer doesn't open without moving entire box. Need 2 hands...one to pull open drawer and the other to hold the box. Like the clear plastic. Using mine for bathroom stuff. Rated 5 out of 5 by DixieC93 from Wonderful Drawers I own one of these drawers along with several shoe drawers and shirt drawers and I love them all! Terrific for small spaces and for inside closets. I would recommend for anyone to use. Rated 5 out of 5 by dbstets from Love these! I use these at home to hold tanks and shorts. I also use these at work (healthcare) to hold medical supplies. Great in both instances b/c all contents are visible! Rated 5 out of 5 by RoseG from It's All Clear Now! These drawers are so great for organizing my sweaters. I use one drawer for each color and what a difference it makes to be able to see what I have. Now I actually wear more things. I feel like my wardrobe grew, but in fact I can just see what I already have. I have not experienced issues of them toppling (I have them 4 high) but I do use a gentle hand when opening the drawers which may be the key. Rated 5 out of 5 by Zblaury from Excellent Organizer for Multiple Uses I purchased the sweater drawer for storing my boots. I can fit two pair of smaller ankle boots in one drawer or one pair of taller boots. I no longer have to pull out cardboard boxes and then restack everything. I just pull the drawer open, grab the boots, close the drawer and everything remains stacked. Huge time saver and really keeps my closet looking neat. I plan to buy more, for sweaters and accessories. Rated 5 out of 5 by AngelFL from Not just for Sweaters!!! I needed something to carry and display my Pangea Organics Skin Care Products in which I was showing last weekend...they hold so much and are very sturdy. Whats even better is they stack for transport and display! I totally recommend them for whatever you need to store and/or display, they're top quality! Rated 5 out of 5 by Vaelorn from Works well for my needs I bought two sweater drawers and the divider for one of them, and I use them to organize my workout clothes and accessories in my closet. The only issue I've had is when you have them stacked, they have a chance to fall over when you open the top drawer, but I put the heavier stuff on the bottom and I'm just careful when I open the top drawer. Rated 5 out of 5 by LuvLiz from Wonderful product with many uses! These drawers are awesome for everything from sweaters to household products. They make organization look good!! Do these have drawer stops? I'd like to stack these on a high shelf in my closet and want to remove the drawer completely to get what I need, without using a step stool. Thanks! Each drawer can be completely removed. Can more than two of these drawers be stacked on top of each other? Most definitely! I have them stacked 4 high but only because of the space. I could go higher! What are the individual length and width dimensions of the drawer? It is listed as 14&quot; sq. x 8&quot; h, but I need to know more specific dimensions to see if it will fit in my space. Thanks! The outer frame measures 13-3/4&quot; W &times; 14&quot;D x 8&quot; H. The drawer itself fits inside the frame by hanging from internal built-in rims on the upper left and right sides of the frame and then resting on the bottom of the frame. There are two tracks on the bottom of the frame that line up with the two tracks on the bottom of the drawer so the drawer glides nicely into the frame. There is a handle on each drawer front (top middle) that protrudes out 3/4&quot; from the outer frame. Hope this answers your question. The outermost dimensions of our Clear Sweater Drawer are 14&quot; wide x 14&quot; deep (including the 3/4&quot; handle) x 8&quot; high. The interior dimensions are 12&quot; wide x 12-3/4&quot; deep x 7-1/4&quot; high. Is this compatible with other &quot; Clear Stackable Drawers&quot;? Our Clear Stackable Sweater Drawer has the same footprint as and can be stacked with our Clear Stackable Shirt &amp; Accessory Drawer. All the Drawers in this collections can be stacked side-by-side, 4 Shoe Drawers = 3 Men's &amp; Athletic Shoe Drawers = 3 Shirt &amp; Accessory Drawers = 2 Sweaters Drawers. I was comparing these beauties, more affordable on sale- thanks ! - to the Clear Stackable Shirt&amp;Accessory Drawers. Everything seems basically the same, albeit slight differences in measurements which is baffling if the two designs can be stacked together (or sidexside) and the price. The Original price of each is different so of course the sales price will be different by $6 per drawer which adds up if I buy more than 1 case. My 3 whys are (1) Why buy one type over the other (2) Why/how are they interchangeably stackable if they're slightly different sizes (3) Why the price difference ? Our Clear Stackable Sweater Drawers and Clear Stackable Shirt &amp; Accessory Drawers both have a 14&rdquo; square footprint which allows them to stack easily and securely. The difference between the two is in their heights &ndash; the Sweater Drawer is 8&rdquo; tall whereas the Shirt &amp; Accessory Drawer is 5-3/8&rdquo; tall. The additional height of the Sweater Drawer makes it ideal for the storage and protection of bulkier garments. Because it requires more plastic material in its molding, the taller Sweater Drawer costs slightly more than the shorter Shirt &amp; Accessory Drawer. Do the drawers pull out smoothly without entire stacked unit moving? Yes, our Clear Stackable Sweater Drawers can be opened and smoothly and quietly without disturbing the other drawers in the sack. Is there a coordinating open shelf? I'm looking for a modular coordinate in this or the shirt drawer size (14&quot; square, 4-8&quot; high) with at least one of each (1 with drawer, 1 without). No, we do not have any open shelves or bins designed to coordinate with these drawers. 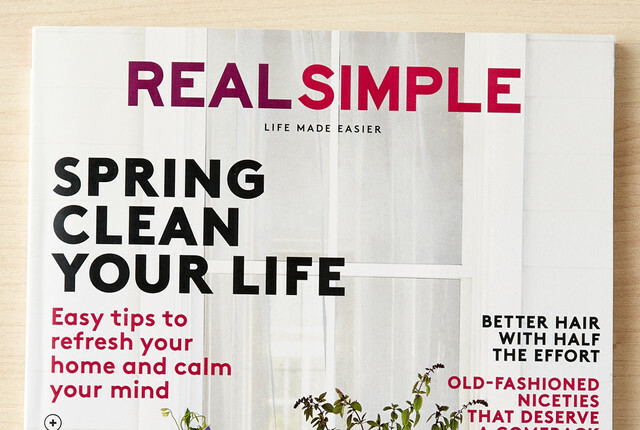 Real Simple & The Container Store Help Spring Clean Your Life! No toying around - Real Simple featured our Oval Acrylic Wastebasket and Clear Sweater Drawer as new sorting and organizing solutions in their Toy Solutions online now!